This feature article by DAM News editor, Ralph Windsor first appeared on DAM Coalition in June 2013. 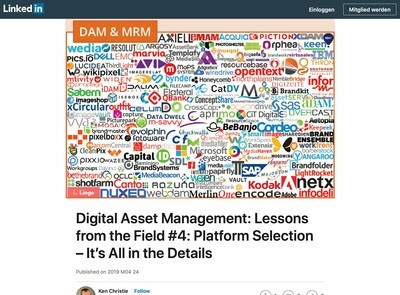 When many prospective DAM users decide they need to either implement Digital Asset Management they often start by looking at the numerous DAM systems available on the market. While that is an important consideration, astute managers quickly realise that there is a lot more involved than just licensing some software and deploying it. In order to extract the maximum benefit, DAM initiatives involve changes to the working practices and culture of the organisation. You cannot properly decide on what those need to be until you have carried out some rudimentary analysis of your current situation. There are some simple auditing and discovery techniques you can employ to meet that goal. In this article, I will describe some of them and also examine some of the implications of what you may uncover in your investigations. In a typical corporate DAM scenario, the business will want to consolidate all the digital media it owns so that everyone can become aware of its existence and later maybe consider building services based around the DAM solution. Which assets do we own the Intellectual Property to? How will we catalogue our assets? What existing systems are we using? With most organisations, there are numerous disparate collections of digital media held on a range of storage media. These can be found within individual departments, held by third party suppliers and (still in many cases) a proportion of material in analogue formats that will require digitisation. See also the question below about existing systems later on. When auditing your existing assets, you will find it necessary to be both persistent and diligent about researching sources. Often end users will tell you they are unaware of a collection of items which colleagues even within their own department might know of. Ask as many people as possible and get examples of the assets so you can reality-check whatever you are being told as to their existence and/or suitability for inclusion in the DAM. Attempting to ingest every item of digital media that your organisation handles is likely to be counter-productive. Depending on the size of your various collections you probably will have to select and prioritise some assets over others based on anticipated demand. Pre-launch means the assets will be available as soon as the system goes live and should be the ‘must have’ assets that many users will want. Post-launch is material that is not needed right away, but should be assimilated and introduced as soon as is practical. As required means assets which are not deemed to be integral or essential, but should be ingested as they are used. There will be some assets that will get proposed for inclusion but the cost and time involved might not be justifiable. If you have documents and records that detail the existence of these repositories, you can make a judgement nearer the time about what to do with them and review that at a later date. For each of the repositories you identify, you need to find out who controls them. How likely is it a department or supplier will upload the assets or hand them over to allow someone else to conduct that task? In larger corporations with multiple business units, the identification process can get quite complicated as there are grey areas between different businesses that share a brand name, but whose staff and assets exist in a separate legal entity. For each repository, you need to find out who controls those assets and obtain feedback from them about the likelihood of them participating in your DAM initiative. It is certainly possible that multiple DAM projects (or similar exercises with different project titles) will be taking place simultaneously and you may decide to merge requirements together to consolidate costs and share knowledge. Clearly, it is easier to find this out before you have chosen vendors and commenced an implementation rather than integrating different products from competing vendors later. Even if your organisation is relatively small or has a simple organisational structure, there is a good chance that many assets will not be held in-house. In the case of marketing collateral, they may be retained by an agency – or at least source material like design files. It is quite common for print suppliers to hold many of an organisation’s assets too as they are often the end-point where assets are dispatched prior to going to press. As well as each repository, your fact-finding should detail who controls the assets held within each if them and what their relationship is with you and the DAM project you are undertaking. The assets were originated some time ago and the original asset supplier retains the rights. IP was never properly transferred and still rests with the originator. The assets were acquired from stock media libraries who provide a licence to use the assets under certain specific circumstances only. The organisational unit is a separate business and they have a dispensation which allows them to retain ownership of their own IP and control who else has access to it. The assets belong (or may soon belong) to a part of the business which has been sold off as a separate entity to new owners. Before you place assets into the DAM system, it is vital to have clear and accurate records about who holds the IPR and ensure that any usage restrictions get included when assets are ingested. It is dangerous to make assumptions about this without some careful auditing being carried out first. 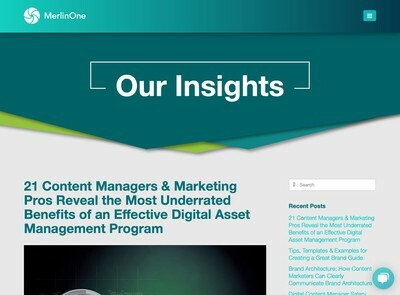 When you launch your DAM system, you are effectively promoting and publicising your collection of assets. This means some which might never have been re-used before many now acquire a renewed popularity. You need to be sure that the reason they were not used before is because the IPR could not be properly established or was not secured to begin with. To avoid litigation problems, it is essential that the usage restrictions are identified and recorded along with each asset. It is true that most DAM systems now offer some form of usage control where download can be blocked until proposed usage has been checked, but you don’t want to be insisting on this for everything, or users may become frustrated with delays in getting access to non-contentious assets. Doing some pre-implementation planning and analysis can identify what assets are safe to allow general access to and which need to be restricted. Developing a taxonomy or metadata schema is a wide-ranging topic that needs to be a whole separate stage in your wider DAM implementation process. That said, it is possible to do some preliminary analysis of how you will want to catalogue your assets and that can be used as the starting point for more detailed work. When asked to do this, a lot of prospective DAM users come up with many subject-specific keywords or terms that are relevant to their business. This will need to be done too, but at the pre-implementation stage you should be more concerned about broader concepts and themes that will define your cataloguing requirements. There is obviously some cross-over here and you will also have generic cataloguing needs such as the type of asset media also (e.g. images, video, document etc). In addition, there could be some highly subject-specific classifications that will be meaningless to those outside your organisation but are well-understood and integral to those within it. The key point is to consider how your end users will ultimately expect to both catalogue and search for assets when the DAM system is released. If you defer this task until you have appointed a vendor, you have less time to think about it more carefully and also envisage how an ideal solution might support your needs. When vendors first set the system up for you, they will require a clear guidance about your metadata requirements to carry that task out for you so it makes sense to think about it early on. What existing systems are we still using? 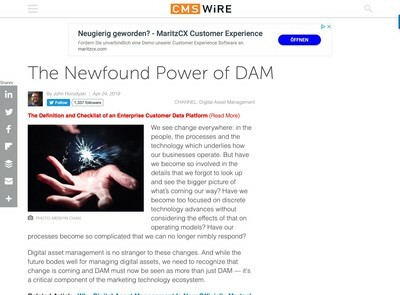 When I liaise with clients in my DAM consulting work, unless they are migrating from an existing product, many start from the assumption that they do not have anything which may have been used to catalogue media in the past (DAM or otherwise). That is not always the case and sometimes there are actually existing systems in use. What they mean is there isn’t anything that is accessible to most of the users and/or that works in the way they want it to. Even if they are exchanging one DAM system for another, it may also be the case that there were legacy products that got ignored the first time around either because they were not known about or due to lack of funds etc. Using database applications to catalogue media is not an especially new concept and there have been software products that have shared features with DAM systems for at least 25 years now (arguably longer if you count spreadsheets). For some specialist media assets, bespoke database applications may have already been developed and still be in use. Desktop applications can be quite well hidden as they not accessible via Intranets etc and unless the existing users tell you about them, you will not know they exist. What these systems may have is re-usable metadata that can be migrated into the new DAM system. This can reduce the amount of effort required to catalogue assets and also prevents the existing time (and money) already invested from completely going to waste. Database engineers and software developers can extract useful data from all kinds of sources, even unstructured files like Word documents, web pages or spreadsheets. It might be that the time and cost involved cannot be justified compared with what you will get out, but you need to assess what is available in each case. As well as legacy systems, many digital media files may contain embedded metadata within them which you can sometimes extract. 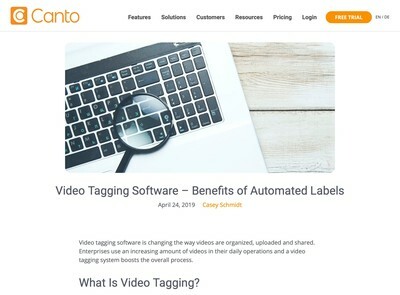 Media that has been sourced from commercial photo libraries, will generally contain keywords, captions and the copyright and usage restrictions in common embedded metadata formats like IPTC. Not all the metadata will be usable, but it is still worth analysing the contents and evaluating what is on offer. The more metadata you can retrieve from existing systems and within sources such as the assets themselves, the less effort is required when you transfer assets into a new solution. You may well still need to go back later and optimise the quality of the cataloguing data, but you will at least have a starting point that avoids having to do this job completely from scratch. By making some preliminary investigations into your DAM requirements before you start to review potential products, you can refine and focus your requirements in a way that allows you to make more accurate and informed judgements. This pre-implementation stage can provide vital insight which can save you considerable expenditure implementing products that either fail to meet all of your requirements or address some issue which is subsequently found to be less critical than was once envisaged.